Whether you have a missing tooth or multiple missing teeth, your comfort and confidence can suffer. 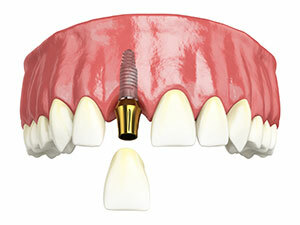 Now with dental implants, you can have the look, feel and function of real teeth. The comfort, convenience and confidence that you deserve is just a treatment away. Consult Us for your FREE Dental Implants Consultation. This is an alternative to having bridge work or partial dentures. 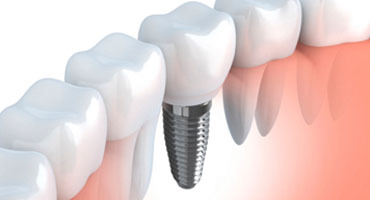 Usually when the tooth and its roots are damaged, the best permanent solution is a dental implant with ceramic crown. The implant is installed as a single unit, and you will have immediate, full functioning teeth that looks and feels natural. The treatment time is short and there is minimal pain involved in this procedure. When you have multiple teeth missing, you may find that traditional dentures lack stability, and you may experience reduced function. 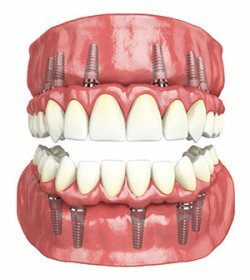 We recommend the fixed bridge anchored to dental implants if you are missing teeth at the back of your mouth. If you choose this procedure, you will be able to preserve your facial structure, and prevent bone loss. This permanent solution is stable and secure, and allows you to eat whatever you desire. If you are missing all of your teeth, then the best option for you is to get a Full Arch Replacement. Modern advances gives us the ability to replace a full jaw with a fixed bridge anchored to dental implants. If you choose this procedure, you will be able to have a full mouth of teeth that functions naturally. This permanent solution is stable and secure, and allows you to eat whatever you desire. The fix will also preserve your facial appearance and prevent bone loss. If you’re missing a tooth — or multiple teeth — the team at Dentistry by the Bay can use dental implants to help restore your smile. Request an appointment with Dentistry By The Bay, dental office in Belleville providing dental implants to patients.